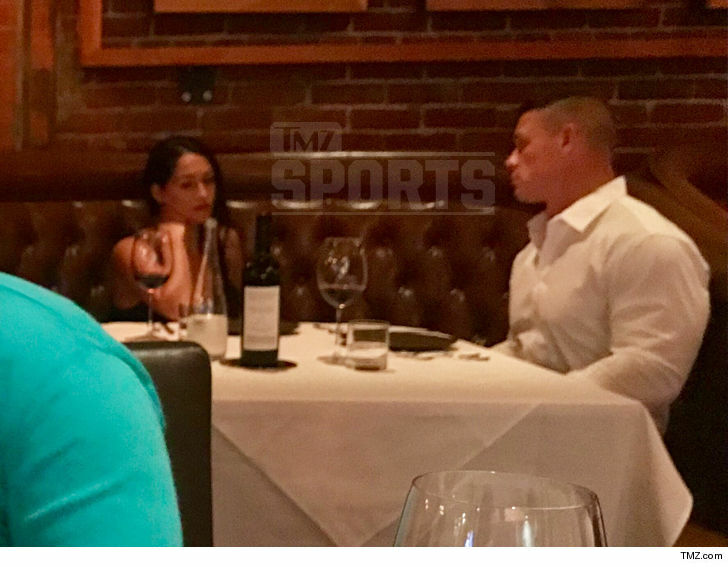 John Cena and Nikki Bella's dinner date looked hard to swallow by the looks on their faces, and we're guessing it had nothing to do with the meals they ordered. The on/off -- but lately, mostly off -- couple went out Tuesday night to the Cowboy Star Restaurant in San Diego, not far from where Nikki lives. Witnesses tell us their conversation looked intense during the entire meal -- which could be good or bad. As we've told you .. they've been trying to work things out since Bella called off their engagement in April. 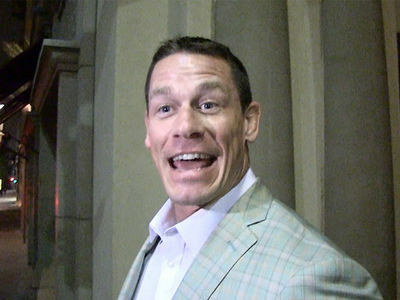 Cena begged to get her back, but they haven't announced a reconciliation yet. No denying ... Nikki did NOT look happy at this particular moment. Glass-half-full types will say they're having a tough convo that'll lead to a reunion. Half-empty peeps will say ... it's the last supper.